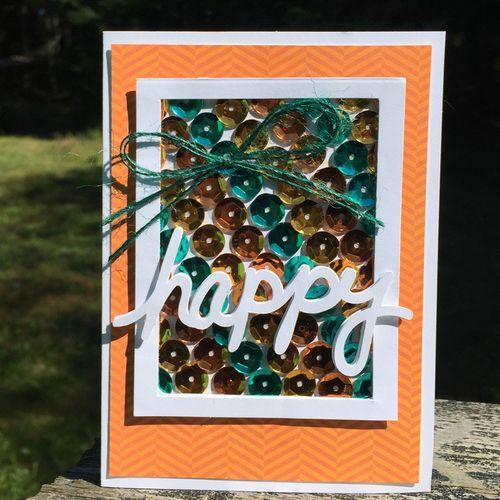 Designer Kristine Davidson filled the center of a die-cut with the Jillibean Soup Adhesive Sequins. Quick and easy since the sequins already have adhesive on the back! Other: cardstock, Silhouette Cameo, twine.